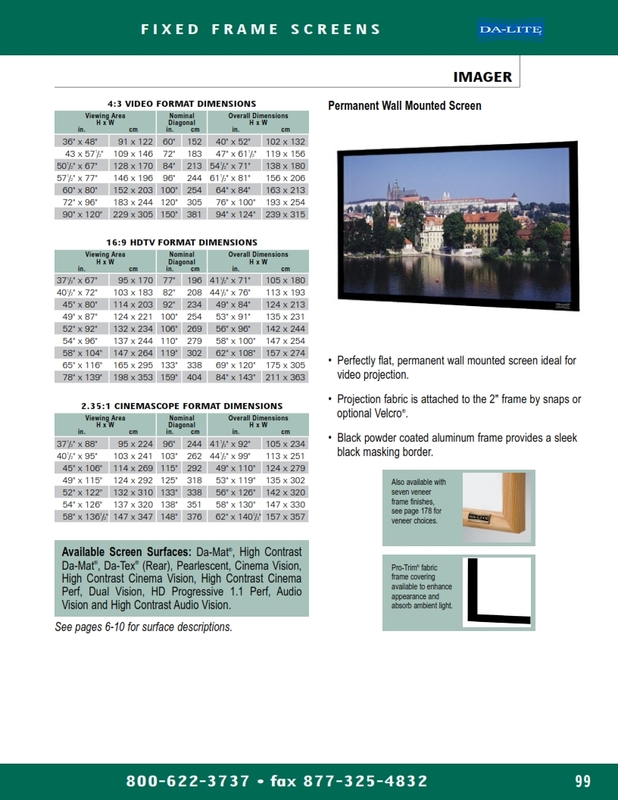 With a special gray surface, this screen material is designed for use with today's high output LCD, DLP and D-ILA projectors. By lowering the black levels of the projected video image, this surface creates a more film-like image and is a good choice when video is the main source of projected information. This screen surface is best used when there is good control of ambient lighting and a moderately wide viewing angle is desired. Screen surface can be cleaned with mild soap and water. Flame retardant and mildew resistant. Viewing Angle: 45° Gain: 0.8.